Maya, Daniel and Corey are still on the run and presumed dead by their families and loved ones, while their friends have been captured, along with Rafe. The teens are at a loss and have no one to turn to, the one contact they have will not cooperate, but has passed on their details to another skin walker, who unexpectedly ambushes them. He's sassy and full of in your face attitude, and familiar. Maya allows herself to be recaptured to save the others, and finds herself in a secure compound with no means of escaping. She finds an unlikely ally, someone who is willing to risk their position within the company to secure her freedom as a means of bargaining for a future she never thought possible. They contact the only other group that know what it's like to be on the run, the kids from the former Lyle House, Chloe, Derek, Simon and Victoria. Together they pose strength in numbers to use as a bargaining chip. No one wants to keep running, living in hotels and abandoned houses. Their only option? To take on the corporation and reunite with their parents. 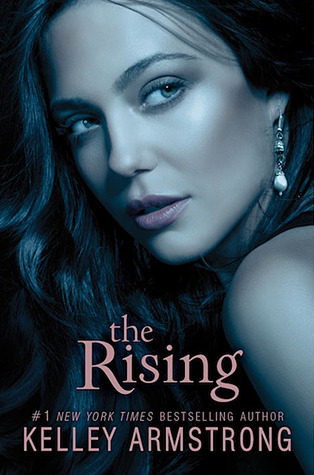 In this the finale of the Darkness Rising series, Kelley Armstrong wrote a complete ending to a well loved series. Readers who have also read the Darkest Powers series, will enjoy seeing the kids from Lyle House months on from leaving the experiment. The ending is quite surprising, but fans of the series will be thrilled with the outcome.